Cast Finish 50oz example produced by Johnson Matthey, Canada. Early example with large weight class font and does not include the 26mm ’50 OZ’ aligned weight class gang-stamp. 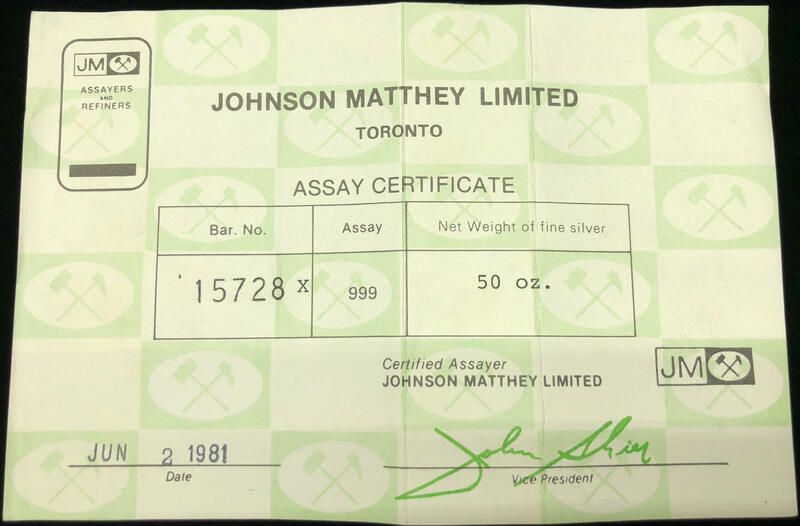 50oz [Diamond JM Logo with Crossed Hammers] [50 OZ] [Serial Number] [999+] [JM LTD. ASSAY OFFICE Oval Logo] [CANADA Inner Oval] Cast Finish 50oz example produced by Johnson Matthey, Canada. Similar to our example above but with traditional placement of purity and small oval hallmark, and includes the 26mm ’50 OZ’ aligned weight class gang-stamp. 50oz [Diamond JM Logo with Crossed Hammers] [50 OZ] [Serial Number] [JM LTD. ASSAY OFFICE Oval Logo] [CANADA Inner Oval] [999+] Cast Finish 50oz example produced in 1981 by Johnson Matthey, Canada. This example includes the 26mm ’50 OZ’ aligned weight class gang-stamp. Similar to our example above but with reverse placement of purity and small oval hallmark. 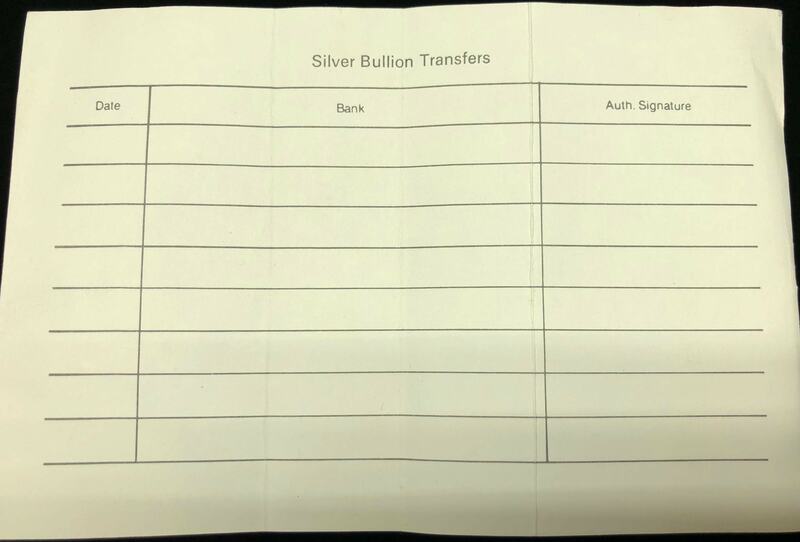 The example depicted was issued with a Johnson Matthew Assay Certificate, pictured below. Our appreciation to Bob H. for this discovery! 50oz [Diamond JM Logo with Crossed Hammers] [50 OZ] [999+] [JM LTD. ASSAY OFFICE Oval Logo] [CANADA Inner Oval] Cast Finish 50oz example produced by Johnson Matthey, Canada. Smaller weight class font wither larger ‘0’ in the ’50oz’ stamping and unique casting mould. This ingot measures approximately 152.40mm x 57.15mm x 20.64 at the widest points, and demonstrates very small numerals and letters in the weight class with the ‘0’ slightly larger. Please note that the middle of this example is thicker and wider in the center than at either the top or bottom. Our thanks to Dan S. for this discovery! 50oz [Diamond JM Logo with Crossed Hammers] [50 OZ] [999+] [JM LTD. ASSAY OFFICE Oval Logo] [CANADA Inner Oval] Cast Finish 50oz example produced by Johnson Matthey, Canada. Similar to our above example, though important to note the sharp rectangular casting mould vs. more rounded casting mould of our entry just above. 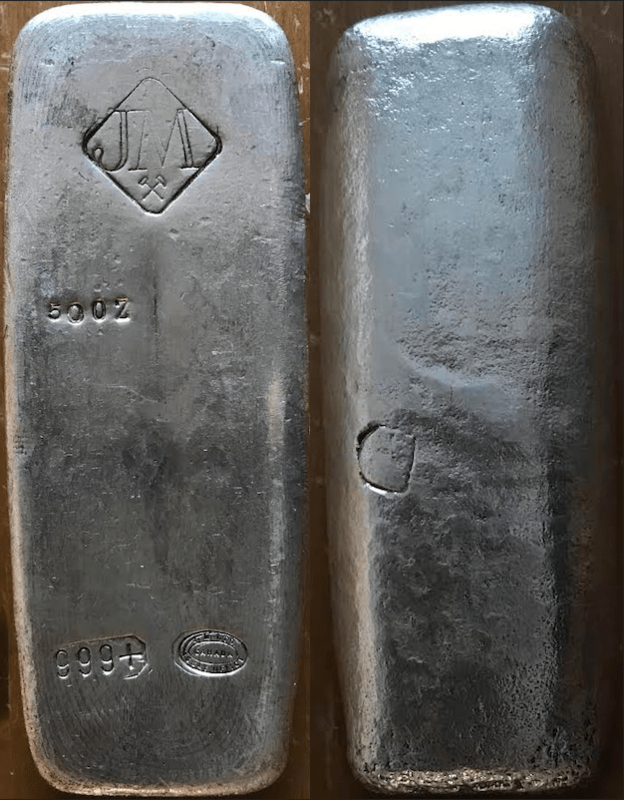 50oz [Diamond JM Logo with Crossed Hammers] [Number 8 Below Diamond Logo] [50 OZ] [Serial Number] [999+] [JM LTD. ASSAY OFFICE Oval Logo] [CANADA Inner Oval] Cast Finish 50oz example produced by Johnson Matthey, Canada. Similar to our above example, though includes a three digit serial number and the unique Number 8 stamp. 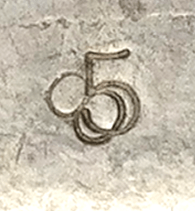 Note the number ‘5’ overstamp on the ‘8’ error, enlarged below. 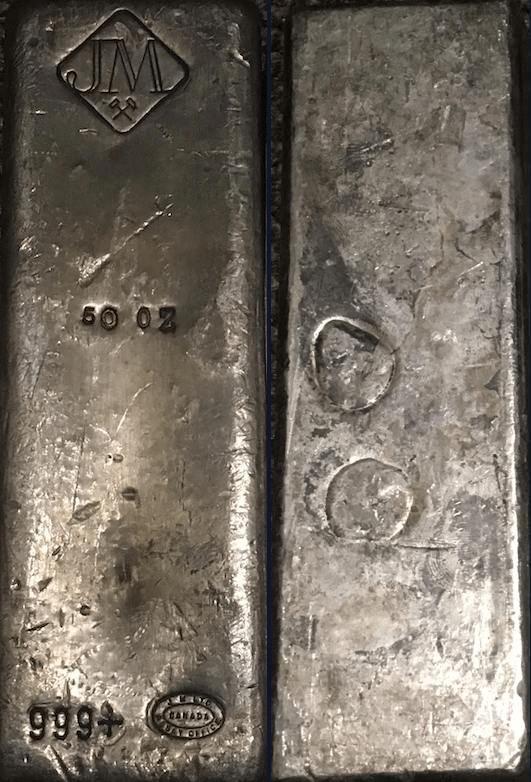 50oz example produced by Johnson Matthey, Canada. 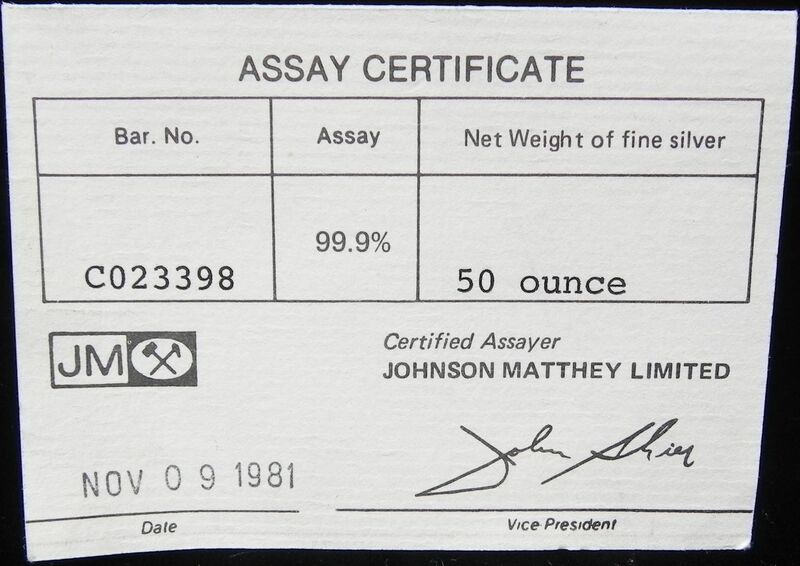 Example C023398 was issued with Johnson Matthey assay certificate, dated November 9, 1981, pictured below. 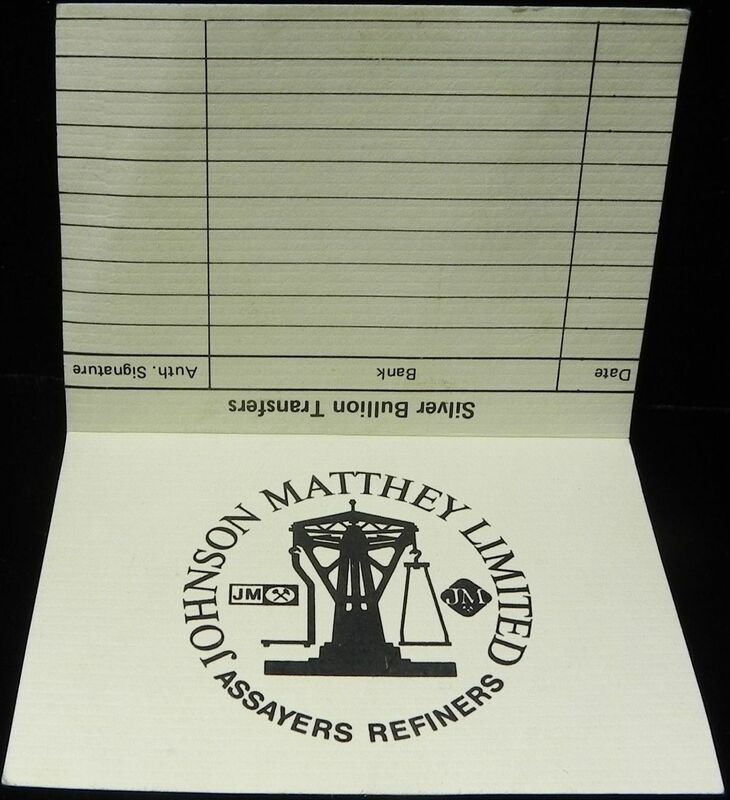 Example C028750 was issued with Johnson Matthey assay certificate, dated May 26, 1982. Cast Finish 50oz example produced by Johnson Matthey London. 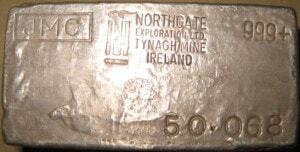 50oz [JMC Logo] [Northgate Exploration Custom Logo] [NORTHGATE EXPLORATION LTD.] [TYNAGH MINE] [IRELAND] [999+] [50•068] Cast Finish 50oz example produced by Johnson Matthey for Northgate Exploration, Ltc. 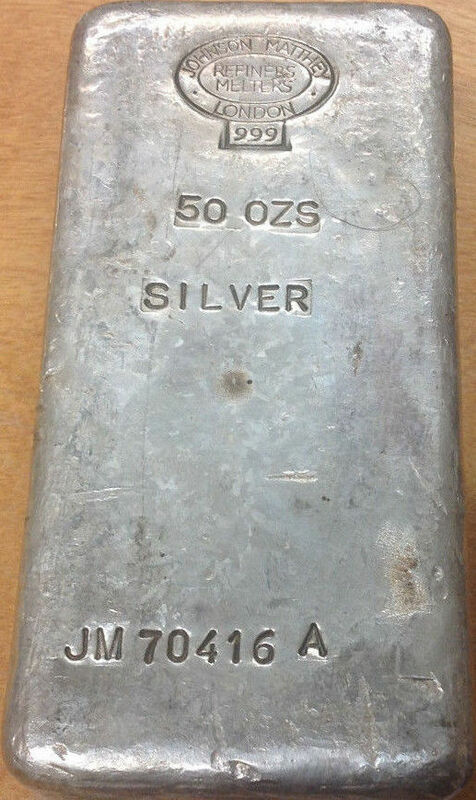 This bar is also listed on our 50oz Definitive Page, as it is technically an odd sized example.